Canada is deemed as the paradise of travel enthusiasts blessed with unparalleled scenic beauty, mountains, glaciers, secluded lakes and forests. The country also enjoys the presence of modern architecture and infrastructure, making it one of he world’s most liveable countries. Undoubtedly, the country is living example of the perfect amalgamation of Modern Lifestyle and Rural Living. Going to Canada is always one’s lifelong dream whether to travel or settle there. In order to experience the visual splendor of this country, one must Apply for Canada Visa in the Visitor category or Temporary Residence visa and be aware of the other legal formalities involved to make sure they have a seamless trip. First things first, the Canadian Visit Visa is valid for six months only. 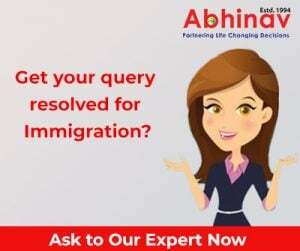 Therefore, before the expiry of the visa it is essential for the applicant to leave the country completing the specified timeframe. The flexible nature of this visa attracts millions of temporary residents to Canada, including tourists, students, or temporary workers. The Visa formality is quite easy to process, provided the applicant must meet the minimum eligibility requirements and demonstrate clarifications on their visit. Canada Visitor Visa: Canada is known for being the most welcoming country in the world, which caters all the aspirants to explore various opportunities regarding travel and work. It comprises of three unique territories and ten distinct provinces, diversity of geographical and cultural features in Canada is unending. The province of Ontario is an exclusive mix of relaxed country life and big-city sophistication. Sounds and sights of Quebec, with its historical touch, is one thing that you can never afford to miss. One can rejuvenate as the powerful tides from the Pacific as well as great Rocky Mountains meet vibrant British Columbia communities, cowboy culture amalgamate with urban flair in Alberta and rural living is seen alive under the Manitoba`s endless skies. Another reason that people wish to get a Canada visit visa is the advanced medical facilities. With 87% of the Canadians satisfied with medical facilities in their country, this is the sound why medical tourism in Canada is a famous option. Coming to the application, one must not feel the dilemma of long queuing, interviews, and appointments because the application is to be done online. Make the list of all the documents required for the Application Submission. The waiting period starts upon receiving the confirmation that the payment has been processed and the documents have been received. Furthermore, all the correspondence will be sent on your email to check the status of your application.